The Class of 2017 would like to thank those of you that came to our stew supper. We hope you left with smiles and a full belly! David J. Lyon Washburn District Elementary School IEP meetings, IEP Teams, the IEP, timeframes, notices, and evaluations can be confusing and overwhelming. Join us as we follow the IEP process and review common terms and definitions. Participants will have an opportunity to ask questions and will receive a copy of the Maine Unified Special Education Regulations. This workshop is designed for parents, foster parents, or anyone who has, or works with, a child between the ages of 2 and 20 years old who has an IEP or 504 Plan. This presentation will be approximately one hour. Something New in the Entry! 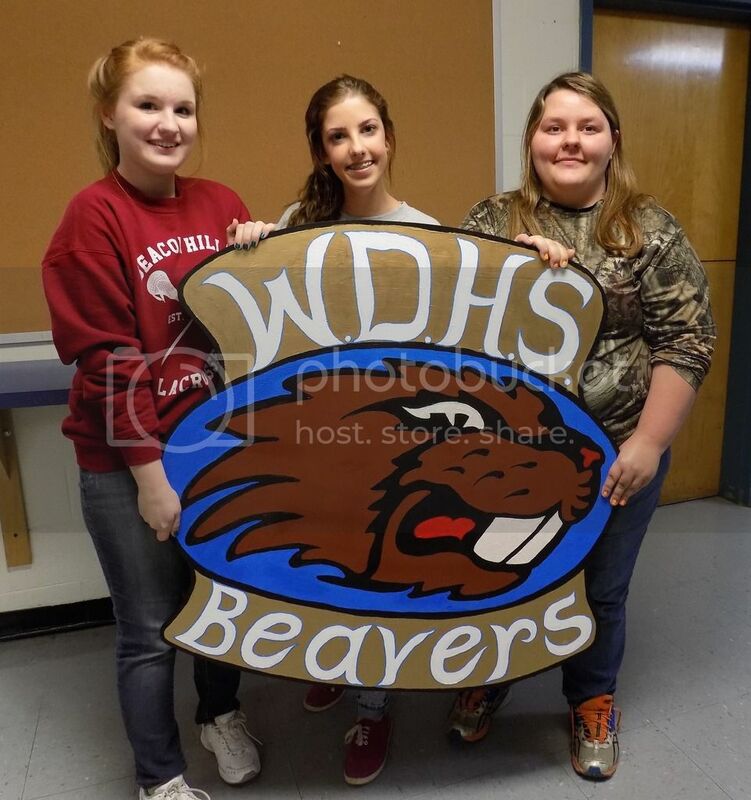 The Woodworking Club and some talented ladies teamed up to create a new sign for the high school entryway! Gift Certificates Make Great Holiday Gifts! What’s better than the smell of warm cookies and fresh pie? BUT that doesn’t mean you can’t enjoy the smell of a clean vehicle! Or give the gift of removed wrappers and clean floor mats this holiday season. The Washburn Woodworking Club is now offering Deluxe Detailing Gift Certificates. or any member of the Woodworking Club! For information please visit this website. WDHS has weights and equipment for sale. All in very good condition and worth well more than the $50 price tag. The buyer must pick up the equipment. Contact Ron Ericson at 455-4501 for information. We hope you had a safe and enjoyable Harvest Break! The faculty and staff of MSAD 45 would like to wish all of our students a safe and happy harvest break! We will see you back in classes Tuesday, October 13th. We are in the process of updating our website. Please be patient as some links and information may not be immediately available!